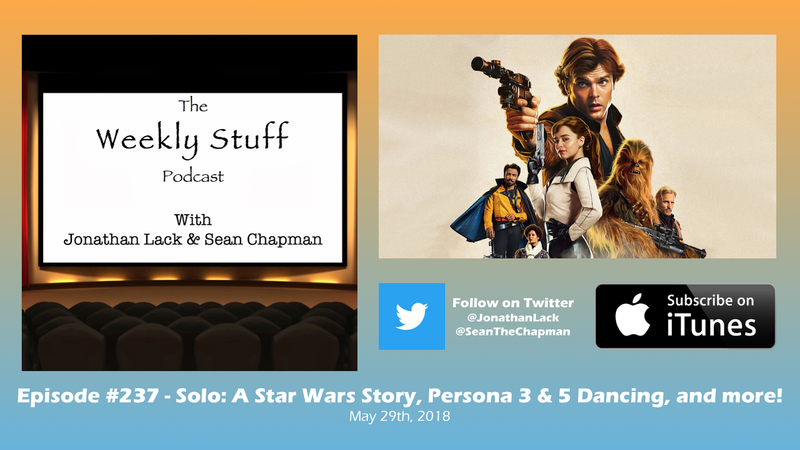 The Weekly Stuff Podcast #237 – Reviewing Solo: A Star Wars Story, Talking Persona 3 & 5 Dancing, and more! After just 5 months, Star Wars is back in theaters with Ron Howard’s Solo: A Star Wars Story, and we have complicated feelings about it! We both like the film to varying degrees, but what both its content and tepid box-office performance say about the current state and confusing future of the franchise gives us an awful lot to talk about. We also discuss the Japanese releases of Persona 3: Dancing Moon Night and Persona 5: Dancing Star Night, the latest spin-off rhythm games from our favorite franchise. Jonathan asks Sean for help with Dark Souls Remastered, we ponder the news of an in-development Boba Fett movie, and much more! 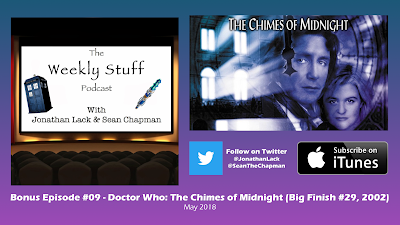 It’s time for another monthly bonus episode of The Weekly Stuff Podcast with Jonathan Lack & Sean Chapman, where we will be discussing serials from classic Doctor Who history. This month, we reach the end of our journey through Doctor Who history – for now, at least – by diving into the audio adventures of the series’ least well-known but paradoxically most prolific Doctor: Paul McGann, the 8th Doctor, who debuted in a poorly-received TV film in 1996, but went on to star in a broad swath on ancillary material up to and beyond the show’s return to BBC in 2005. 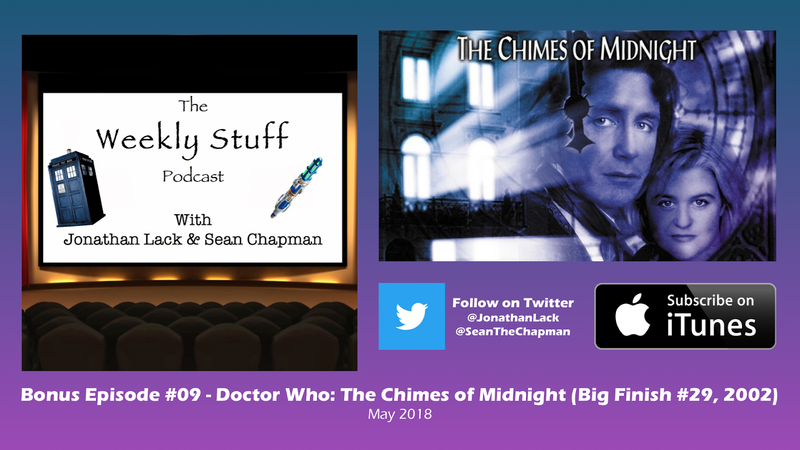 For this episode, we discuss one of the 8th Doctor’s earliest adventures, the 2002 Big Finish audio drama “The Chimes of Midnight,” by Robert Shearman, a haunted house mystery that has a lot more going on than one might expect at first blush. It is undoubtedly one of the boldest, most experimental, and most gripping Doctor Who stories ever produced, and proof that the franchise can work just as well in the form of an audio drama as it does on television. 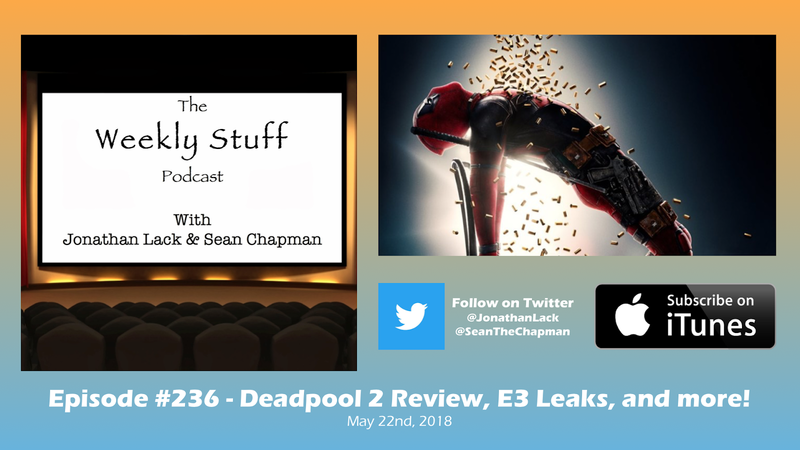 The Weekly Stuff Podcast #236 – Deadpool 2 Review, E3 Leaks, and more! This week, we got another major superhero film in Deadpool 2, a surprisingly excellent sequel that is funnier, zanier, and weirdly more heartfelt than the first film, fueled by great performances and excellent direction from David Leitch. We talk about the film in depth, and before that, cover a few recent pieces of news, including a spate of E3 leaks and rumors like Nintendo’s strange potential Pokemon project, while Jonathan gives first impressions on Shin Megami Tensei: Strange Journey Redux for 3DS and Sean continues his adventures in the literary world of Norse mythology by reading some mythological poetry by J.R.R. Tolkien. This week, we return to a galaxy far, far away for our next in-depth Star Wars discussion, and after going through all three prequels in previous episodes, we finally arrive at the film that started it all: Star Wars, also known as Episode IV: A New Hope. 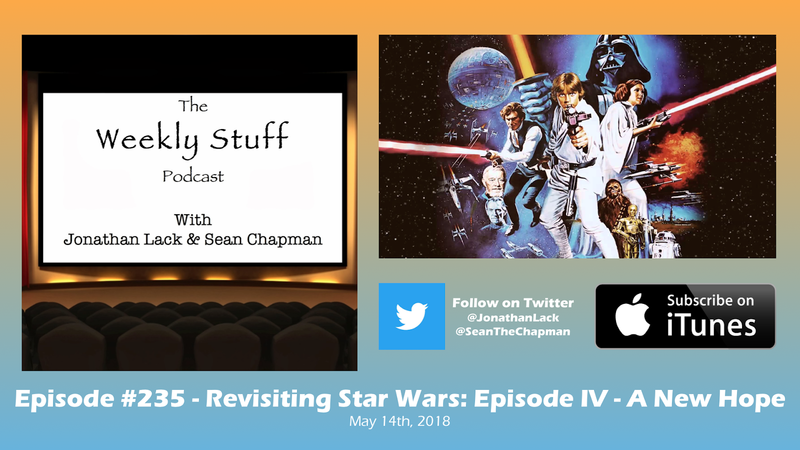 Unlike the prequels, this film neither demands nor requires a critical reevaluation – it’s great, it’s always been great, and most people who have ever seen a movie agree with that – but there are still plenty of avenues to follow in discussing what makes this such a joyous, singular, perfectly imperfect cinematic revelation, and it makes for a fun chat about one of our favorite movies. Jonathan also talks about his recent trip to Iowa, Sean talks a little more Norse mythology, and we go over some recent Nintendo and Xbox news to round out the episode. After giving general spoiler-free impressions last week, we dive deep with the new God of War, discussing the story, characters, themes, and gameplay in a wide-ranging discussion that reveals just how much this game has to offer, intellectually, emotionally, and as a major technical achievement. 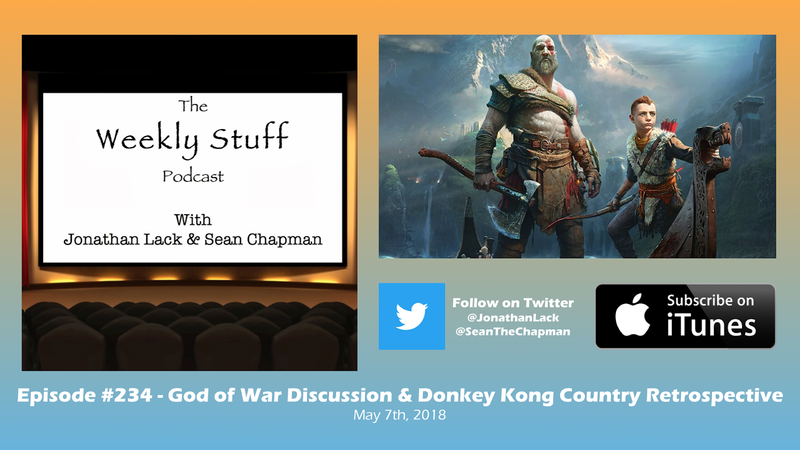 Jonathan also talks about his recent experiences playing through all of the Donkey Kong Country games, from the Super NES games by Rare to Retro Studio’s 2010 reboot, in anticipation of this week’s release of Donkey Kong Country Tropical Freeze for the Nintendo Switch. Further adventures with the original Japanese version of Yu-Gi-Oh! and Sean’s deep dive into Norse mythology round out the episode.